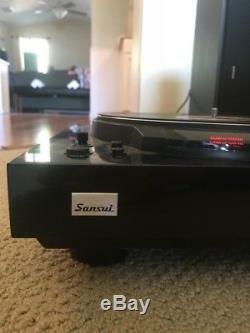 Rare Sansui Turntable in great condition bought in 1978. Single owner and ships from the USA! 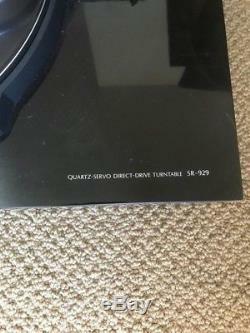 Type: two-speed, quartz-servo, direct-drive, manual turntable. Motor: 20-pole, 30-slot DC brushless type with built-in frequency generator. Drive system: direct spindle drive, quartz servo controlled. Platter: 302mm, 1.4kg, aluminium die-cast. Wow and flutter: less than 0.028% WRMS. Signal to noise ratio: better than 66dB. Fine speed adjustment: +-3.5%. 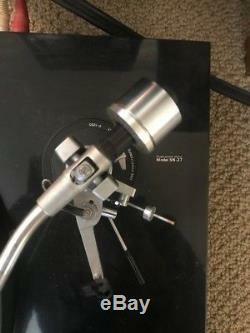 Tonearm: statically balanced, s-shaped tonearm. Cartridge weight range: 2 to 11g (11 to 21g with sub-weight). Dimensions: 490 x 173 x 381mm. 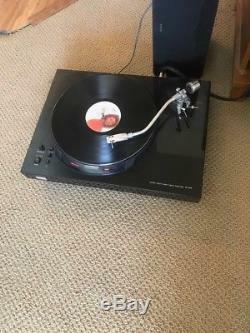 Can provide Manual upon Request as well. 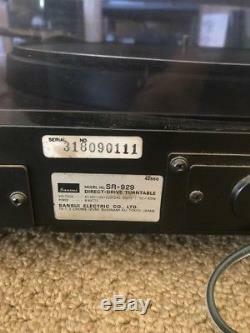 The item "Sansui SR-929 Super Rare Vintage Turntable. Original Box/Owner, Ships from USA" is in sale since Sunday, November 11, 2018. 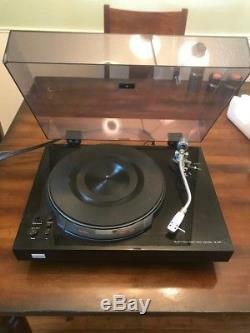 This item is in the category "Consumer Electronics\Vintage Electronics\Vintage Audio & Video\Vintage Record Players". The seller is "joskell14" and is located in Junction City, Oregon. This item can be shipped to United States.